1. Budda wah before the FWR is installed. 2. This is where the Budda wah is different from most others. 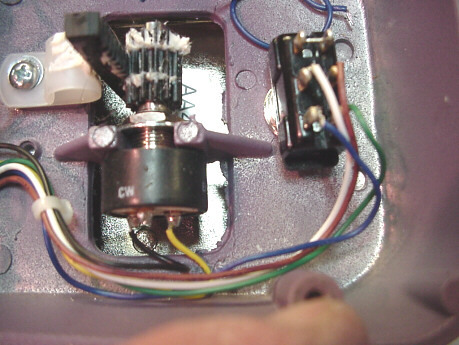 Here's what's going on: The blue Output wire from the circuit board gets connected to both the POT and the SWITCH. 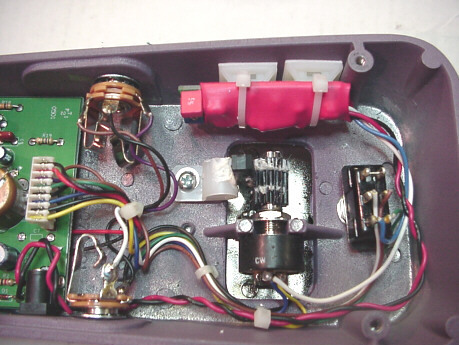 In most other pedals, the wire goes to the POT, and then a jumper takes the signal to the SWITCH. In the Budda wah, the wire goes first to the SWITCH, and then a jumper takes it to the pot. It's the same thing electronically, but it's done in a different order. 3. Here's a closer look showing exactly what's going on. 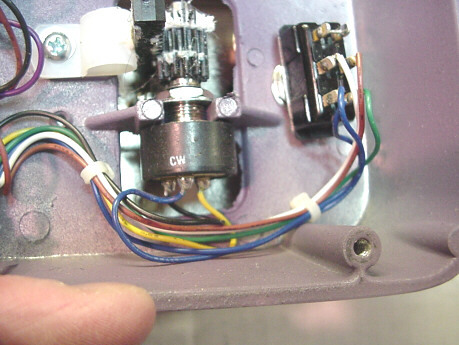 The Blue wire goes to the bottom left lug on the SWITCH, and then another blue jumper takes it to the POT. 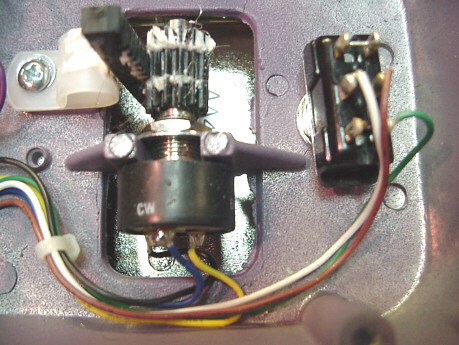 4 Cut and remove the blue wire at both ends - at the POT and at the SWITCH. 5. This one is a little blurry (sorry). 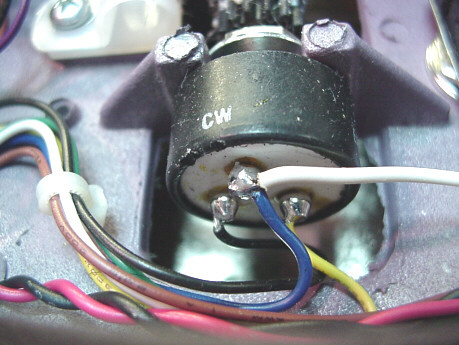 The blue wire has been removed from the bottom left lug on the POT and connected to the lug on the POT that the blue jumper was going to. Check out #7 for a closeup. 6. Input and output connections. Lay the FWR in place. 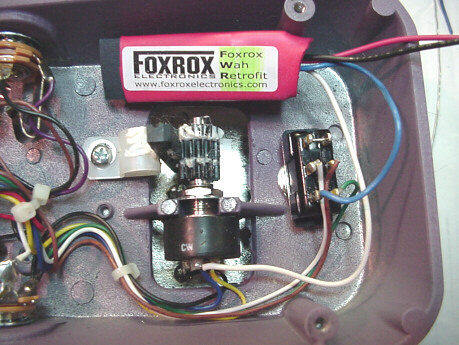 The Blue FWR wire gets soldered to the bottom left lug on the SWITCH. 7. 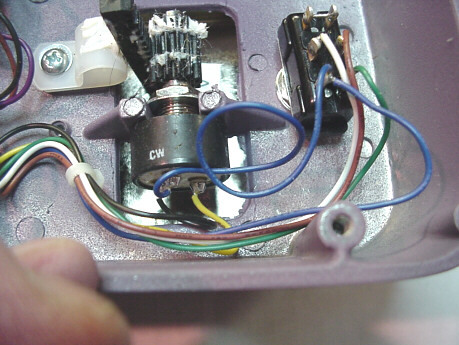 The White FWR wire gets soldered to the POT, right at the same place that the Blue wire was moved. 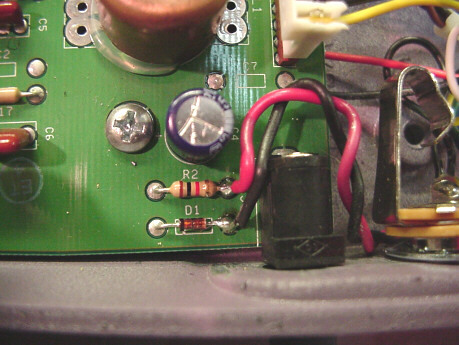 You may want to twist and tin both of these wires together before soldering to the lug on the pot. 8. 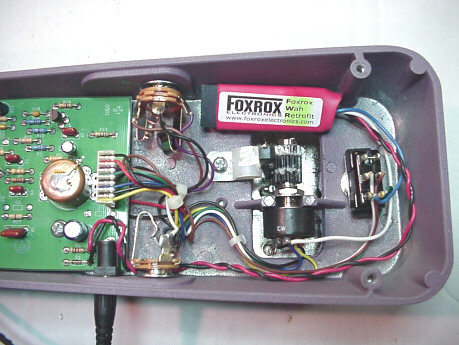 The Red V+ wire from the FWR has been soldered directly to the right side of R2 on the board. 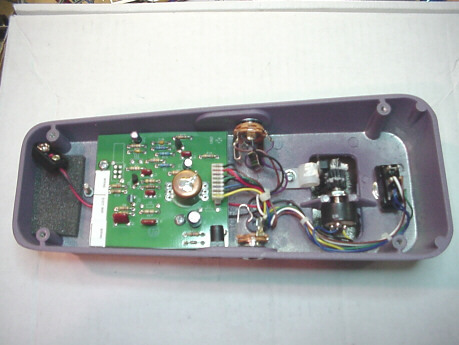 The Black Ground wire from the FWR has been soldered to the right (cathode) side of D1. If you tin your connections first you'll have no trouble getting them to join. 9. It's all done. Now it just needs to be cleaned up and secured. 10. Budda Wah installation complete.